Brisbane Centre is one our two major centres – the other being in Melbourne. From Brisbane Centre, Airservices manages the airspace over the northern half of Australia, representing around five per cent of the world’s total airspace. Brisbane Centre’s flight information region (FIR) neighbours include Indonesia, East Timor, Papua New Guinea, Fiji, New Zealand, and the USA. Brisbane Centre is responsible for the airspace from 45 nm (83km) north of Sydney, up to the airspace boundaries with Indonesia and Papua New Guineain the north, and east to the airspace boundaries with New Zealand and Fiji. 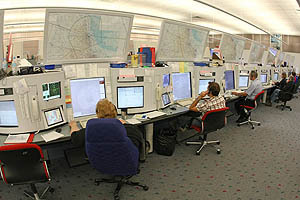 Brisbane Centre also manages the upper level airspace for the Pacific Island nations of the Solomon Islands and Nauru under contracts with the governments of both nations. Brisbane Centre has a strong focus on international air traffic, since all international flights to Australia from North or South America travel through Brisbane airspace, as do a significant share of flights to Australia from Asia. For example, the Oceanic airspace off the east coast of Australia is managed from Brisbane Centre, so aircraft flying from Sydney to Auckland NZ or from Tasmania to New Zealand travel through Brisbane airspace for a significant portion of their journey. To further demonstrate the extent of Brisbane Centre’s airspace, the Brisbane FIR covers most of the northern portion of Western Australia. 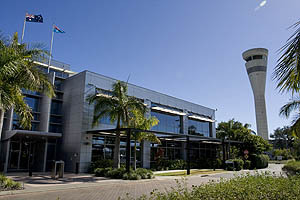 The transition to Brisbane Centre began in 1998, with the centre in full operation by January 2000. Melbourne Centre is one of our two major centres – the other being in Brisbane. 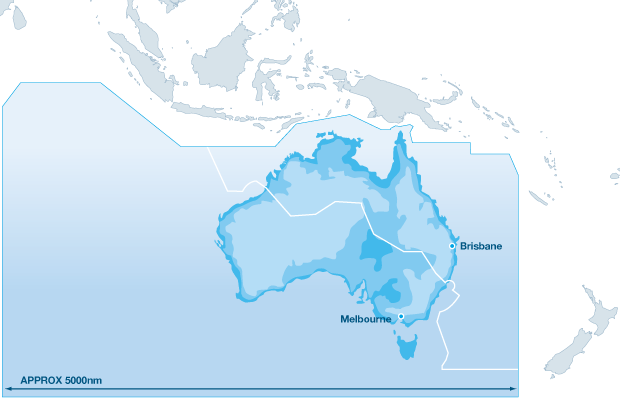 The Melbourne flight information region (FIR) includes the southern half of Australia and the Southern and Indian oceans. Representing around six per cent of the world’s surface, our service delivery extends from Indonesia to the South Pole and from halfway to New Zealand to halfway to Africa. The centre is directly responsible for en route services throughout the FIR. 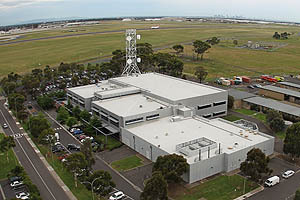 The first air traffic control operations commenced in Melbourne Centre in November 1998. By 31 January 2000, the transition to full operations was complete. Airservices work closely with our FIR neighbours including South Africa, Mauritius, Male (The Maldives), Sri Lanka, Indonesia and Auckland (New Zealand). The map below shows the Australian flight information region (FIR). Airservices is responsible for around 11 per cent of the world’s airspace. The airspace above the white-coloured FIR boundary line is controlled from the Brisbane Centre and the airspace below is controlled from Melbourne Centre.